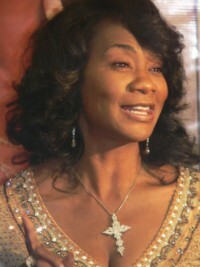 Pastor Brenda Jefferson hosted a first-class weekend as she released her debut project in Tampa, Florida. Sharing her testimony and heart for ministry, the event was an opportunity to get to know and feel the power behind her brand new project, A Time of Refreshing. Produced by Michael Brooks, the project features gospel heavy hitters Lisa Page-Brooks, Beverly Crawford, Lecresia Campbell and Joe Ligon. As we sat with Pastor Jefferson over the weekend she shared that in writing this project she asked the Lord for something for her. Ironically, what would come would be songs that would bring healing not just for her, but for many. Through her personal struggles, ministry transitions, and ultimate triumph over death, this project was birthed with a mission to heal. It's A Time of Refreshing for Pastor Brenda Jefferson and this is also her prayer for you! All content in GOSPELflava.com © copyright 2007. No information to be reprinted or re-broadcast from this site without the expressed written consent of GOSPELflava.com. All rights reserved.